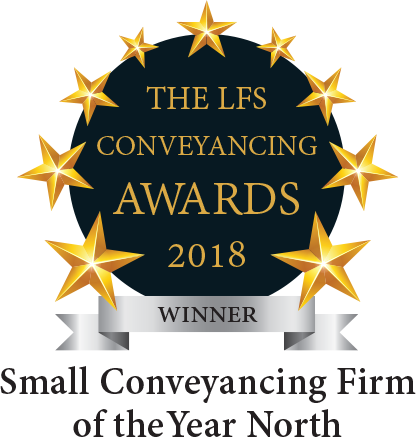 Gaddes Noble Property Lawyers are very proud to announce that they have won the prestigious award for Small Conveyancing Firm of the Year 2018. The LFS Conveyancing Awards are the largest and most prestigious event in the conveyancing calendar. 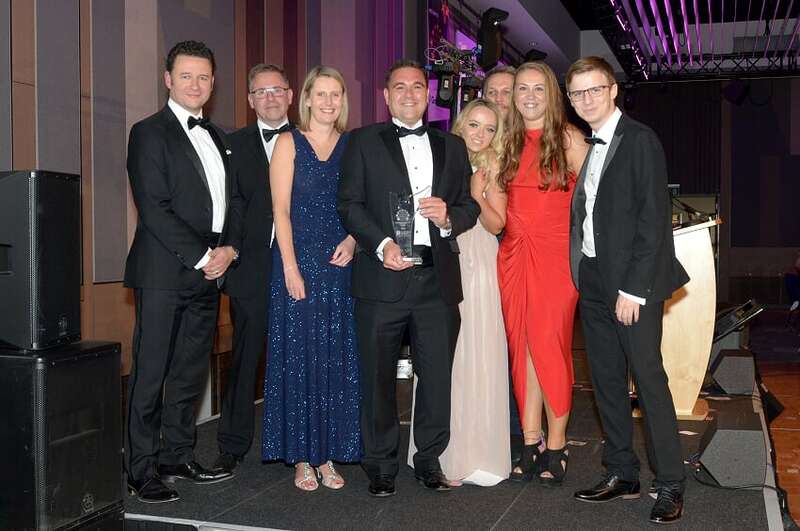 At this national event, over 700 solicitors, licensed conveyancers and conveyancing professionals enjoyed an evening of entertainment, a three course gala dinner and a nervous wait with other finalists to see who would be crowned winners. The award that we have won was available to all Small Conveyancing Firms. It gave us the opportunity to enter for offering a first class service but without having the large marketing budgets of our larger rivals and to compete against each other on a level playing field. Completion of an application so that the judges could make an initial assessment. A mystery shopping exercise to obtain a conveyancing quote. This process was scored on both the quality of the phone call and the subsequent quote pack that they received. A compliance check undertaken by Legal Eye. They requested several documents and policies and a score was given to each firm. A telephone interview by one of the judges. Shopper Anonymous undertook a client survey based on a net promoter score. Managing Director, Lee Gaddes, commented ‘to win this highly acclaimed award is an honour and a testimony to our fabulous conveyancing team. We all enjoyed the evening with our fellow finalists in Birmingham and never expected to win. The award now takes pride of place in our reception area in our offices in Huddersfield and will be our benchmark for the years to come’. Gaddes Noble Property Lawyers are very proud to announce that they have been shortlisted for the prestigious award for Small Conveyancer of the Year 2018. The LFS Conveyancing Awards are now in their seventh year and are the biggest and most prestigious event in the conveyancing calendar. The award that we have entered was available all Small Conveyancing Firms. It gave us the opportunity to enter for offering a first class service but without having the large marketing budgets of our larger rivals and to compete against each other on a level playing field. Managing Director, Lee Gaddes, commented ‘to be shortlisted for this highly acclaimed award is an honour and a testimony to our fabulous conveyancing team. We are all now looking forward to attending the awards dinner later this year in Birmingham’. There are two different forms of legal ownership, freehold and leasehold. Blockchain and Bitcoin, the Future of a Conveyancing Transaction? A continuously growing list of records called blocks which are linked and secured using cryptography. A worldwide cryptocurrency and digital payment system called the first decentralised digital currency. A property lawyer is responsible for millions of pounds of client money each year ensuring funds are protected and then transacted to complete a property transaction. The current payment process is through our banking system in the UK mainly using the CHAPS method of payment. Will what we do and how we transact be revolutionised by blockchain technology? The simplest way to explain the technology is thinking back to when HTML became the visible layer of the internet allowing it to be navigable and appealing to non-engineers. Blockchain technology is similar to HTML and will become the invisible piece of software behind highly trusted transactions like the ones we transact every day in conveyancing. In October 2017 a dentist based in Swansea was the first property buyer in the UK to exchange contracts digitally in a process which its promoters claim has the potential to remove the need for solicitors in transactions. The buyer acquired a £700,000 commercial property in Trowbridge in an online deal secured by blockchain digital encryption technology. Blockchain is also being investigated by law firms and insurers as a way of creating ‘smart’ contracts, the terms of which are activated automatically on receipt of trigger information. Blockchain could transform the process by securing all details of the transaction in a tamper-proof form. So blockchain is potentially a game changer and we are closely monitoring its development and its implementation worldwide. Anything that will make the conveyancing process more efficient is a win-win for the client and the solicitor. A legal title will still need to be checked and searches will still need to be carried out, but this may eventually be undertaken at the very outset when a property seller is ready to put their house on the market. A digital file would be created and verified without the need for a property lawyer to check it several weeks into a transaction being instructed. In terms of payment, many people worldwide hold Bitcoin as a digital currency and they exchange Bitcoin for other currencies, products and services. 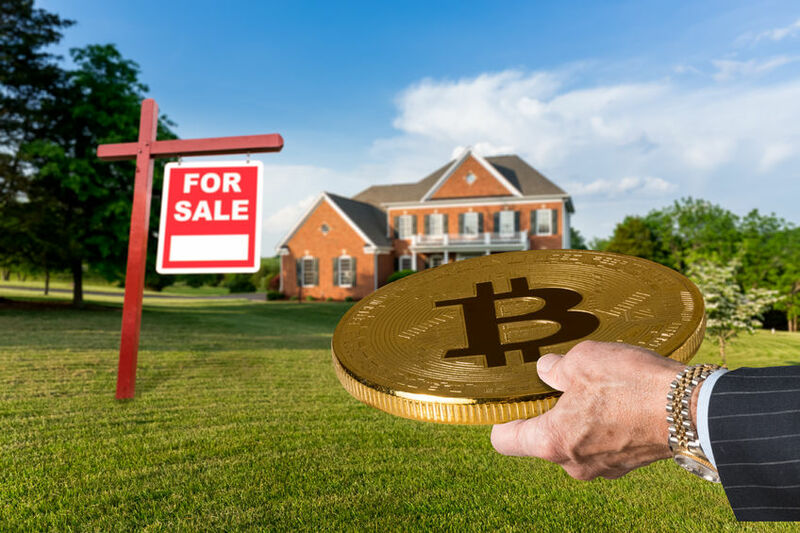 Bitcoin could be used to purchase a property. In September 2017 a property seller in Dubai listed the first property development ever to be offered for sale using the virtual currency. The discussion around blockchain and bitcoin will continue and considering the government’s current consultation on improving the home buying and selling process, if greater efficiencies can be created whilst saving time and reducing costs, this can only be a good thing. At Gaddes Noble Property Lawyers, we will embrace all positive changes and technological enhancements ensuring that cost savings are passed directly to our clients. https://www.gaddesnoble.co.uk/wp-content/uploads/2017/11/84168987_m.jpg 565 848 Lee Gaddes https://www.gaddesnoble.co.uk/wp-content/uploads/2016/12/Gaddes-Noble-logo-300x137.png Lee Gaddes2017-11-10 17:13:062017-11-10 17:29:57Blockchain and Bitcoin, the Future of a Conveyancing Transaction? Traditional Estate Agent or Online Estate Agent? Most high street Estate Agents will typically charge an average of £1500.00 or a percentage of the sale price, on a no sale no fee basis, with no deferred payment, so they get paid when the property sells. They usually often offer, a dedicated sales team, extensive sales progression work and local market knowledge. Most online Estate Agents will typically charge an average of £750.00, usually payable up front with a deferred payment charge/loan as an option. Big names in the online market are PurpleBricks, eMoov, Tepilo, HouseSimple, YOPA, Settled and Hatched. When a new client instructs us to act on their behalf in the conveyancing, the property has already been sold, usually by the Estate Agent. When a property has sold and Solicitors/Lawyers have been instructed, we receive a Memorandum of Sale from the Estate Agent. We use that information to open your new file and start the conveyancing process. The main difference that we find is that a traditional Estate Agent will contact us several times throughout the transaction, often by telephone for updates on how the matter is progressing. They will also contact the other party’s Solicitor/Lawyer for updates on their part of the transaction. Updates will also be asked for by email and then the information passed on to the seller and buyer. It is a ‘hands on’ approach and ensures that sales progression is maintained and all parties are fully informed and up to date. 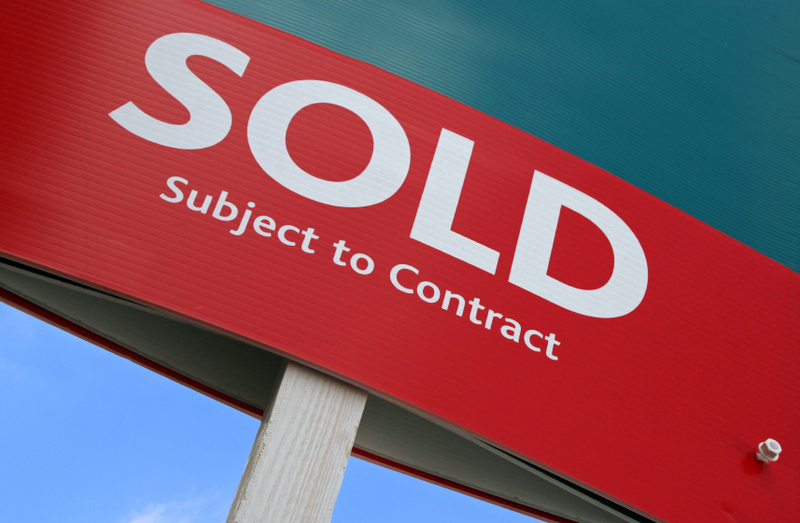 An online Estate Agent will rarely contact us once a property has reached the conveyancing stage and sold subject to contract, their contact with us, the seller and the buyer will be minimal. Once contracts have been exchanged and a completion date set as legally binding, we will always inform the Estate Agent whether they are traditional or online. With a traditional Estate Agent, a fee invoice will usually be generated to be paid on the day of completion. With an online Estate Agent, the fee will have usually been paid upfront and therefore their involvement at this stage is usually not needed. We also find the day of completion very different with the Estate Agent models compared here. With a traditional Estate Agent, the seller’s keys are deposited with the Estate Agent at their office ready for collection by the purchaser when legal completion takes place. With an online Estate Agent, the onus is on the seller and buyer to meet and hand over their keys direct, once we have confirmed that funds have been received. With a property sale, you are welcome to leave the keys to your property with us for collection if this assists you on the day of completion. Whichever model you choose to sell your property we can act on your behalf in the conveyancing of your property. We will assist you with any negotiations that you require and be in regular contact with your buyer or seller’s Solicitor, we will ensure that funds are received into our client bank account on your behalf before you hand keys over to your buyer. https://www.gaddesnoble.co.uk/wp-content/uploads/2017/10/iStock_000003230098Small.jpg 560 857 Lee Gaddes https://www.gaddesnoble.co.uk/wp-content/uploads/2016/12/Gaddes-Noble-logo-300x137.png Lee Gaddes2017-10-02 15:19:542017-10-19 13:04:11Traditional Estate Agent or Online Estate Agent? When you make the decision to buy a property there are many factors to consider but one of the first things to decide upon is whether to buy a new build property or whether to buy a ‘second hand’ home. The majority of developers no longer build houses that are identical and look like ‘lego style’ houses as in previous years. Now, most reputable developers take great care to provide a number of varying house types and sizes on a new development. Much thought is now put into the providing a variety of house styles and also making outdoor space in the form of parking spaces and also recreational parks and green spaces for residents to enjoy. People will always say that if you want features like high ceilings, period fireplaces and multiple reception rooms then stay clear of new build. 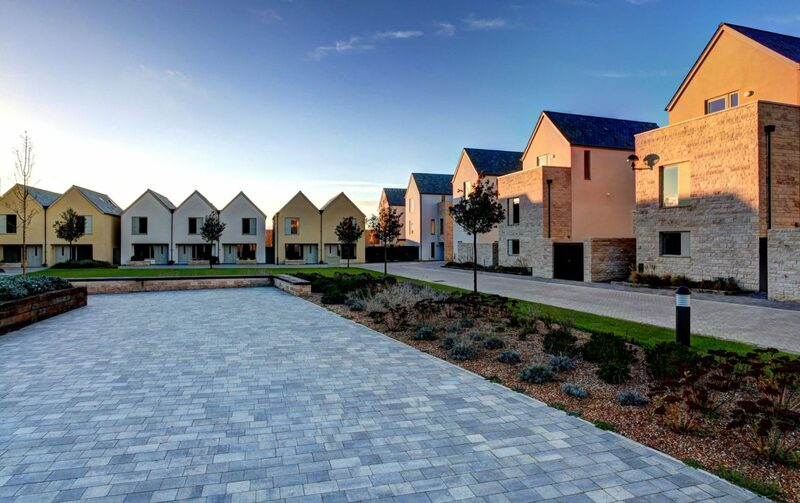 However, developers are now listening to what house buyers want when they are choosing a property and starting to try and give people what they want in other forms, such as number of bedrooms, bathrooms, garden space and on the larger developments, a village feel to the community. New build properties are built to be more energy efficient and modern construction prevents damp, together with cavity wall insulation, double glazing and also improved insulation within the walls, lofts and floors providing long term energy savings. Newly built properties will always be more energy efficient than older properties which can have such issues as damp, draughts and condensation. There is a certain attraction to owning a new build, much like when buying a brand-new car. The feeling that no-one else has lived in the property before has a certain appeal and some people buy new build every time they move to a new house because of this attraction. All developers offer a variety of internal fitting packages to buyers when they purchase the properties ‘off plan’. These can include selected carpets, floor tiling, kitchens, bathrooms and white goods. Often these items are offered at very competitive rates and take the hassle out of making sure that everything is fitted into the property ready for the day that you move in. 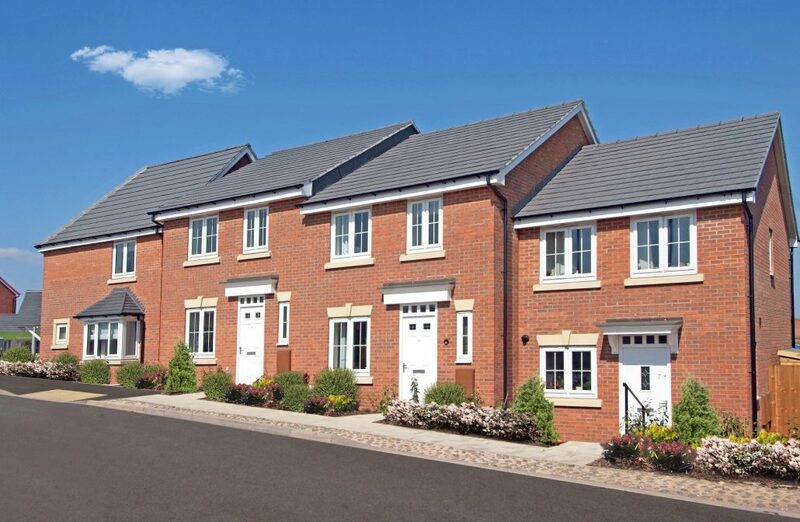 Most new homes come with an NHBC warranty. This warranty offers protection for house-buyers for up to ten years following the completion of the purchase. During the first two years the property is covered for failure by the builder to meet the warranty providers requirements when building your home or preparing the land on which the property stands. During the following seven years the property is covered for any structural damage that may occur. Check that the builders are members of National House Building Council (NHBC) or offer similar warranty such as Zurich or Premier. Search the internet for information on the builder and visit other completed sites to see the standards applied. Also check if they have won any industry awards. Check the site and house plans carefully. Artists impressions may have been used in marketing materials and therefore should be disregarded. Measure your property carefully, all floor space, including the height of the ceiling, to make sure your furniture fits. Here at Gaddes Noble we have a team of new build property lawyers that specialises in new build property who can help you through the buying process. We aim to make the whole experience as smooth and stress free as possible. We are beside you from day one and here to guide you through the whole of the process involved, from the moment that you sign the reservation form on site to the day that you collect your keys to your new dream home. To find out more about our New Build Conveyancing service click here.